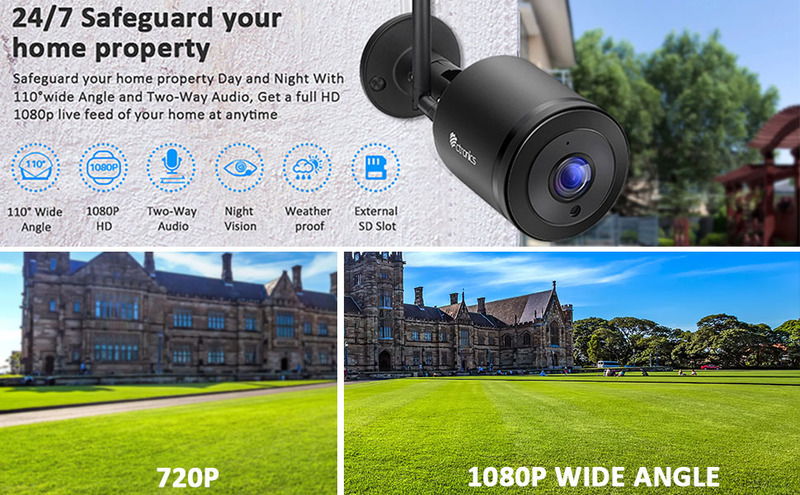 【Full 1080P HD Crystal Image】1920x1080P HD resolution and 30m IR Night Vision for crystal clear viewing day and night, IP65 Rating with Full Metal Casing makes the camera robust enough for outside use. 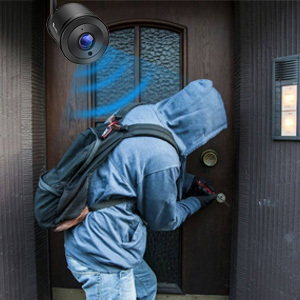 【TWO-WAY Audio & 110°Wide View Angle】Built-in Microphone and speaker allows you to communicate with guests and the deterrent alarm can scare off intruders out of your house. Equipped with a 3.9mm HD lens enables a larger field of view of 110°. 【Motion Detection &External SD slot design】 Automatically record on Micro SD card(Up to 128G, No SD card pre-installed)When movement is detected. External SD card slot designing is easier for SD installation. 【Real-time push alarm】 Free instant push alerts to your mobile/tablet when motion is detected. Playback recordings from mobile or PC whenever you want to check back on your home. Support upload to an FTP server as well as record to any ONVIF 2.0 NVR without missing any details. 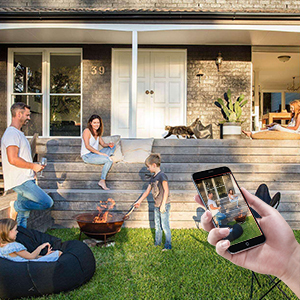 【Easy Installation and Remote viewing】Real Plug and Play and easy wifi set-up allows you to access the live feed in minutes, feel so close to your family with ctronics wireless camera even you are not home. The Ctronics New design security camera is easy to install and quick to setup wifi. With the outstanding clear night vision and the 110° wide-angle lens, you will definitely not miss any moment of what you care! 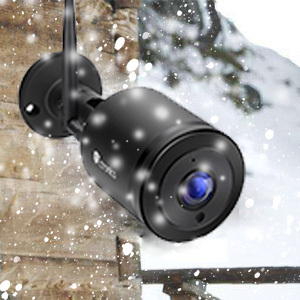 With this IP65 weatherproof camera, you can monitor not only outdoors, but also indoors, such as porches, backyard, garage, office, warehouse, etc. 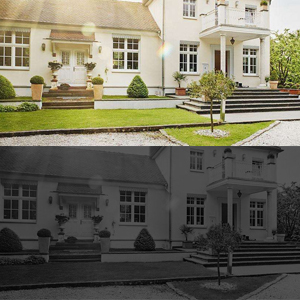 Ctronics outdoor camera delivers 1920*1080P high definition images no matter in rain, wind or shine, so you can capture clearer details around your home. A 110° wide-angle lens with distortion correction ensures that you can see enough activity, and the ball mount gives you more freedom of where you want to view. 4 pieces array Infrared LED lights provide clear night vision to help you get clarity files even at the dim environment, the night vision distance can be up to 98feet. This surveillance camera keeps recording at 20 frames per second to ensure a smooth video footage even when the items quick move. Ctronics App can let you view the wifi home security camera's live feed even you are not home, remotely communicate with your family members and protect your property and keep your home security all the time. 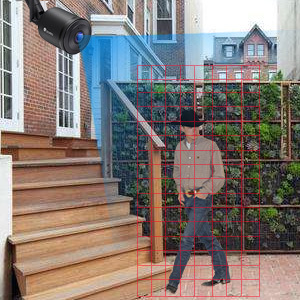 You can also add as many cameras as you want to the APP, keep an eye on your home.